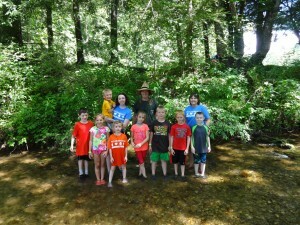 This is the season for parents to make residential summer camp plans. While children may not be thinking about their summer activities this time of year, it is time for parents to begin taking action. 4-H Youth Development has a long history of residential camping. In Caldwell County, our 4-H camping history is rich with experiences at Anita Alta. Across the state, 4-H Youth Development operates three uniquely different residential camps and facilities. If you are looking for a quality residential camping experience, begin by looking for American Camp Association accreditation (ACA.) Their set of 300 standards review a camp’s operation from staff qualifications and training to emergency management. They set the industry standard. Even the briefest visit to their webpage will provide a wealth of information www.acacamps.org. If you are unfamiliar with the benefits of residential camping for youth development, they will connect you with the latest research. If you are looking for a residential camp, the ‘find a camp’ tab leads you to a database of options. With over 600 ACA accredited camps in North Carolina it is helpful to search with some qualifiers such as child age, gender, interest, location. In North Carolina all 4-H residential camps are ACA accredited and accept youth age 5-17 years old. While you can preview them through the American Camp Association, your best resource is to call the local 4-H office 828.757.1257 and visit www.nc4hcamps.org. With camps in Reidsville, Columbia, and Ellerbe, North Carolina you are sure to find a setting and program of special interest for your child. Traditional residential summer camps continue to hold all the activities campers are longing for: ropes courses, swimming, archery, canoeing/kayaking, fishing, nature, campfires, new friendships, group games, arts and crafts and more. For children with a specific interests there are special program weeks just for them. A 4-H specific interest week includes horsemanship, hunting and fishing, boating, sailing, and leadership development. If you are wondering whether or not your child is ready for residential camp? Ask them! They are often ready before their parents.